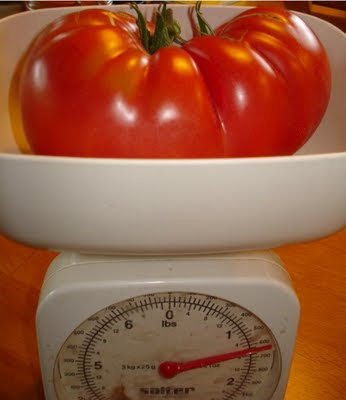 Self-sufficiency … in tomatoes ? 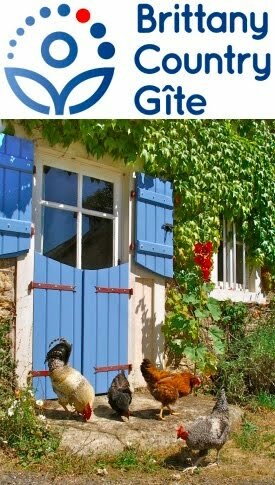 A chap from Brighton (where we used to live) got in touch recently, asking if, on a forthcoming house-hunting trip to Brittany, he could come to see us for a cup of tea and a chat about our permaculture smallholding. He and his wife are considering a move to France, hoping to reduce their outgoings by producing [some of] their own food. He mentioned the phrase “self-sufficiency”, which has got us thinking. It’s never been a goal of ours to be totally autonomous. For sure, we’ve got a well-thumbed copy of John Seymour’s The New Complete Book of Self-Sufficiency and I’ve read and been inspired by his autobiographical Fat of the Land but we’ve never aspired to produce all that we eat, just proportionally much more than we ever used to. Why not self-sufficiency then? We drink milk but, for about a pint a day, do we need to add a cow to our already populous menagerie with all the fuss and palaver of providing it with adequate pasture, getting it in calf, milking it every day, etc? Bread then? Yes, homemade bread is wonderful stuff and, during the baking, makes a house smell so dough-licious but we have our own village bakery. And a village baker needs to sell bread or shut up shop, leading to a very quiet village. Cheese? With such an amazing variety of cheeses produced all over France, why would I want to restrict our larder to just one type of amateurish homemade cheese? Not totally self-reliant then but certainly producing fruit, vegetables, eggs, meat, firewood for all our heating needs and extras such as a very warm but incredibly rustic Russian hat made by the omni-competent Gabrielle from our own rabbit skins and felt from wool off the backs of our own sheep. It did get us thinking though and, as Gabrielle has this week been mainly preserving tomatoes, we wondered what would be involved in making ourselves self-sufficient in just this one commodity: only eating our own preserved tomatoes, running out of jars on the day we started to harvest the first fresh toms of next year. 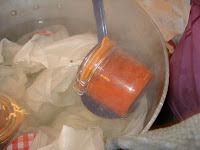 And so to preservation: We have previously frozen passata but that takes up valuable, energy-consuming freezer space. This year, following instructions from Katerine, the chicken farmer’s wife and one of Gabrielle’s favourite books, Preserving by Oded Schwartz, Gabrielle’s been harvesting, chopping, simmering, sieving and bottling in Kilner jars, then heat processing them by boiling the sealed jars for twenty minutes. The high pressure forces bubbles past the rubber sealing ring, so when the jars cool down, they become vacuum sealed. To follow: red mites in the henhouse and our new, beautiful grey water treatment system. I'm just forwarding this amazing article i read regarding the use of EM (effective microorganisms) in farming in Japan. I thought you guys might be interested. I've been experimenting with bokashi as a solution to composting in a small area (we haven't moved to the property yet...) and am really impressed with the role of bacteria. anyway, have a read. i liked the idea that the fermenting bran that lines the chicken house also keeps the baby chicks warm! Hi Stuart and Gabrielle, I just found the comment you left on my blog way back when.....don't know how I missed it! Anyway, how did your flower pot mosaic go? I've been busy over the last few weeks (see my blog for pics) and did a demo to a small group on Monday. I've been looking at your blog, and I wish I'd found out about you earlier, as I have a friend here who would probably have liked to come and visit you to see what you are doing. Unfortunately, she goes back to Wales for the winter on Monday. Will send her the link to your blog.